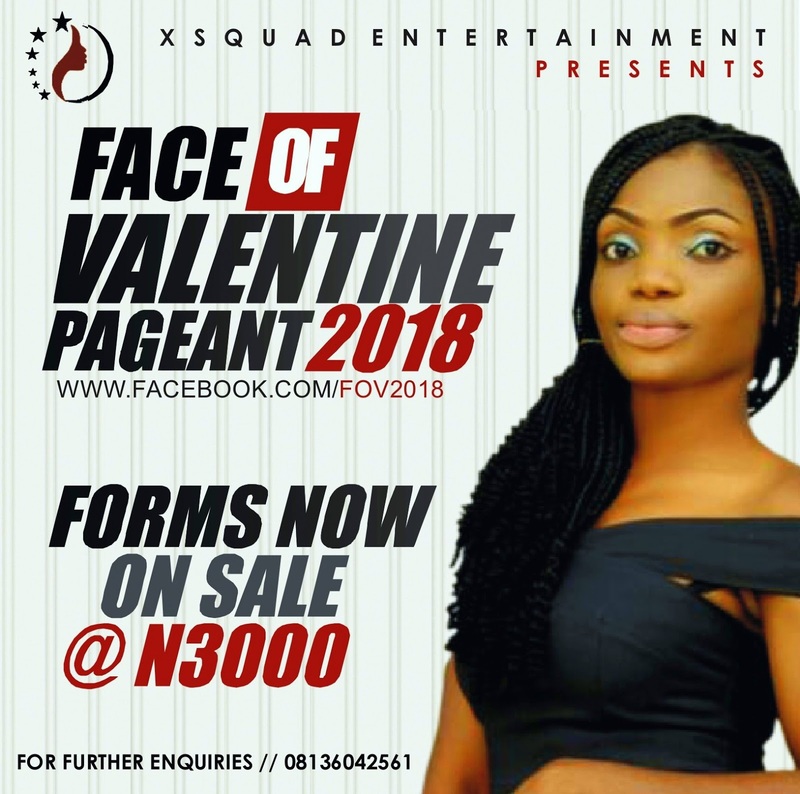 Organizers of Face of Valentine 2018 have called for entries for this year’s edition of Face of Valentine Pageant 2018. 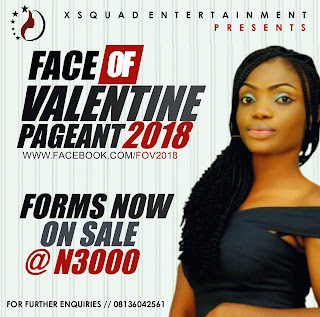 FACE OF VALENTINE PAGEANT SHOW is an annual event put together by “XSQUAD ENTERTAINMENT”; an entertainment outfit aimed at branding Music artistes, Online Music promotion and Digital Music Distribution. On the press conference/Unveiling of the show which took place on 13th January, 2018 at Hotel Konokonics, Ikot Ekpene, the organizers highlights plans and readiness for this year’s edition of the show. 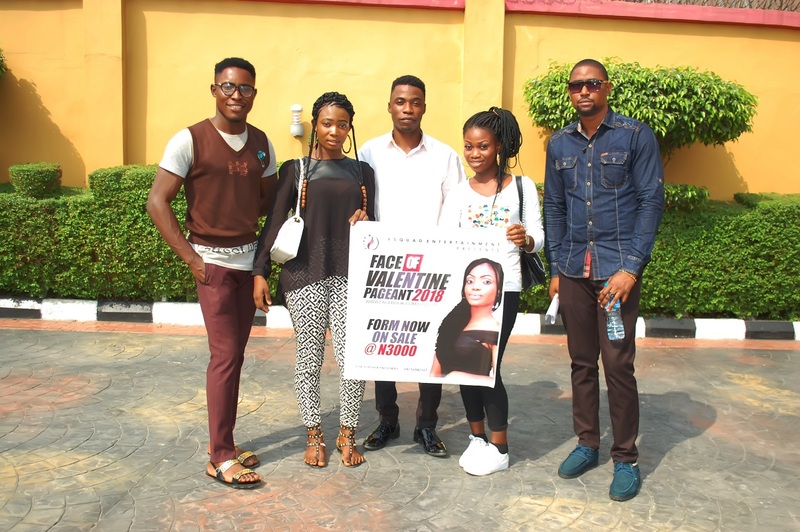 “FACE OF VALENTINE 2018” is aimed at promoting the beauty of a Girl child in Akwa Ibom State and Nigeria at large. The contest is opened to all Akwa Ibom Girl under the ages of 18-25years while registration forms are sold for is N3, 000 only. 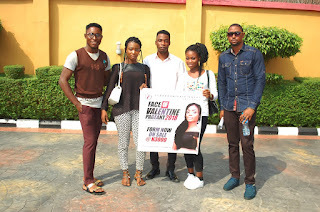 “FACE OF VALENTINE 2018” will not just promote the beauty of a girl child, but it will expose them as well as giving them the boldness and courage to stand in the public as they intend to make use of their leadership qualities in promoting the campaign against child labour, child abuse, child trafficking, lesbianism and prostitution by working hand-in-hand with the Government, Cooperate bodies and spirited individuals in supporting the girl child education from the grass root level. 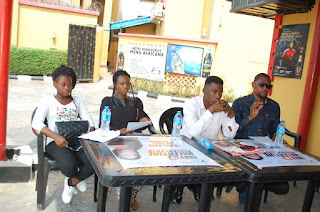 The organizers added that based on sponsorship, the Winner of this year’s contest will smile home with a Laptop Computer, benefits includes Free Photo Session, All round media hype (Radio /Tv Interviews, Magazine spotlights) and all expenses paid trip to Major Cities across Nigeria while 1st and 2nd runner up will go home with consolation prizes. The organizers added that unlike every other pageant show, that there will be an online voting which is 40% while Camp behavior and outings will be 60% making it 100%. Ikot Ekpene, Akwa Ibom State. Deadline for registration is 31st January, 2018 while audition is slated for Saturday 3rd February, 2018. See Exclusive Pictures from the Press Conference/Unveiling below!